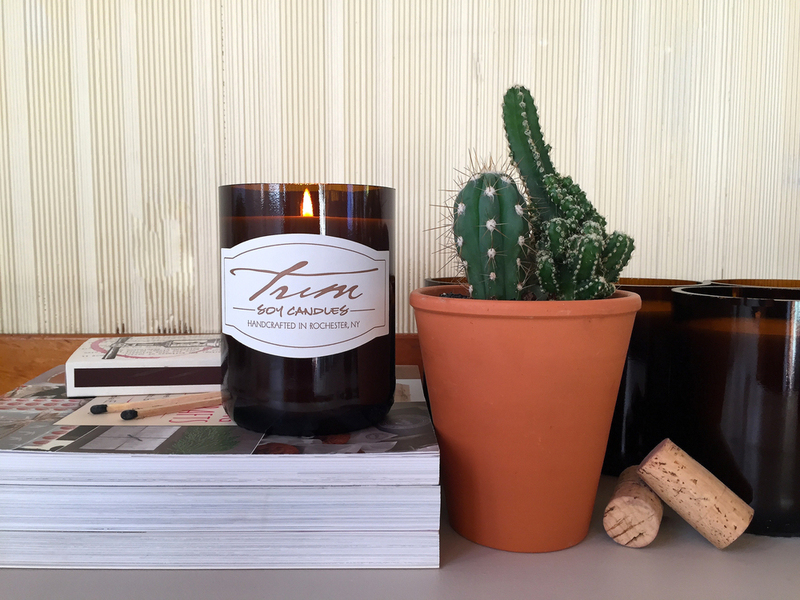 Our repurposed wine bottle candles are hand poured in small batches and are made with all natural, 100% American grown soy wax, cotton wicks, and thoughtfully selected phthalate-free fragrance oils. Every step of our candle making process is done by hand, from cutting the wine bottles, to pouring the wax, to printing and applying the labels, to stamping the dust covers with each scent name. We put much care and love into every piece that goes out the door. From our happy home to yours, we hope you enjoy.